WILL FUEL PRICES HURT THE COIN BUSINESS? Among our recent subscribers are John Grost, courtesy of Bob Laetare, Gregory Mirsky, Gary Doster, Nick Brittin, and Ed Stoebenau. Welcome aboard! We now have 1,152 subscribers. This week we open with notes on the E-Sylum online archive, the usefulness of the 100 Greatest Works of American Numismatic Literature, and our E-Sylum editorial policy. Moving on to literature, next up are notices and reviews of recent books on numismatic photography, superintendents of the San Francisco Mint, campaign tokens and medals, and Canadian historical medals. In other topics Richard Doty brings advance word of his newest book and we discuss Frank Campbell, recently retired librarian of the ANS. In items related to earlier discussions, we have the final outcome of the effort to extract a Carnegie Hero Medal from a block of Lucite, and an interesting early U.S hoard coin, still entombed in a Lucite block. In the news, a German firm is taken to task for printing banknotes for the Zimbabwe government, the U.S. government is sued over the Liberty Dollar raid, and protesters return their Victoria Cross medals to the British Government. 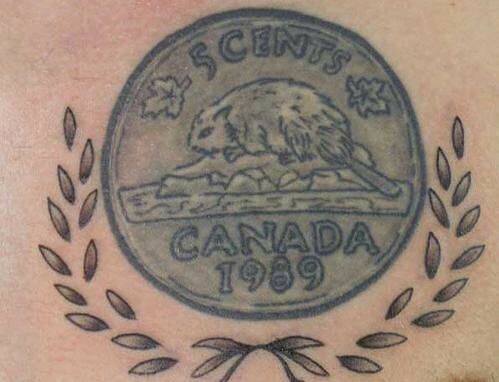 To learn about another coin tattoo (this one Canadian), read on. Have a great week, everyone. For those of you still having some difficulty receiving or reading your weekly E-Sylum email, remember that each issue is archived on our web site. The full issue is usually available within a day or so (and soon we�ll have it there immediately). I hadn't thought to use the Archive, but wow, now I get the whole NINE yards, or even ten yards! Another satisfied customer. Readers including Wayne Herndon suggested including a link at the top of each newsletter so readers could just click the link and go directly to the web version. This has been our intention all along, but it's not implemented yet. Use the above URL, or make note of the naming convention as seen below, where I list the URLs for the last three issues (volume 11, numbers 23, 24 and 25. My two cents worth about the '100 Greatest Works of American Numismatic Literature': For a numismatic bibliophile with a small but expanding library, the list is invaluable. It simply offers an amazing compilation of titles to peruse (many I never knew existed), from which I can cherry pick those that interest me, seek out and purchase on the aftermarket. What a fantastic resource to have at your fingertips! As a contributing writer and publisher of a newsletter to glass collectors ( quarterly---hardly weekly! ), I understand and hope that others read carefully and understand your comment ...."As long as editing this newsletter continues to be fun, I'll gladly keep it up." Some folks need to recognize that this is a labor of love and not a method of gaining fame or money. Thank you for all of the interesting and timely work that you turn out. How many subscribers do you think you would have if you only mentioned books? I think about 50, tops. Your reply was 110% correct. Keep them coming as is. Anyone who wants a pure bookie newsletter should unsubscribe - how boring! As much as I love numismatic literature, I agree with Larry. As a matter of fact, the main reason The E-Sylum veered away from purely numismatic literature topics into the broader numismatic world was a dearth of submissions from readers. Related topics proved to be interesting to readers and generated much more participation. Not every article is interesting to everyone, but each issue usually has something for everyone. -Editor. There are topics in The E-Sylum that go rather far afield of coin books, numismatics and related items but the readership seems to enjoy them. My problem is the yapping Pekinese that wait till a man is DEAD before they come out of the woodwork. It is cowardice to shout accusations and hearsay about someone who CANNOT respond. Sadly, it was during this period - although this was not discovered until many years later - that the Society's cabinet sustained its most critical loss. Famed U.S. large-cent expert William Sheldon evidently succeeded in switching dozens of the finest pieces out of the collection by substituting in their places other coins of identical varieties but slightly lesser states of preservation. To date, about two-thirds of these coins have been recovered; an ongoing effort seeks the remainder. If it hadn't been for The E-Sylum, I would have been completely in the dark as to what was going on behind this brief statement. This issue of the ANS Magazine also has a lot on the recent relocation of the Society and the move as you reported. Keep up the good work! Thanks for sticking to your guns on the Naftzger controversy. Kleeberg was at the ANS during the dispute, and has first-hand information. The story of Naftzger/Sheldon/ANS is fascinating, thanks to all who weighed in on it. I also enjoyed Alan Weinberg's submission of the Kosoff/Kaplan/Laine caper. Great stuff! I found the postings on Ted Naftzger and Abe Kosoff in the June 15 E-Sylum to be troubling, and printed them out to review. I did not get around to it and thought that others would share their thoughts in the June 22 issue. Charles Davis did and you also mention a call from John Burns. Frankly, I thought there would be more outrage, though Charlie was certainly direct. I'll restrict my comments to John Kleeberg's commentary on Ted Naftzger and Alan Weinberg's story about Abe Kosoff. While I find some of John Kleeberg's characterizations to be slanted and unfair, he steps up to the plate and takes responsibility for what he says and it is clear that, if need be, he could document many if not all of the basic facts. I have no brief against Alan Weinberg. I certainly enjoy his man-on-the-street contributions in the Big E and other numismatic publications and I admire his obvious love of the hobby. Nor am I above sharing controversial stories about numismatists of the past and present. But to do so in print, with zero documentation and anonymous sources, is not acceptable. You just cannot do this, despite the "tap dance" disclaimer at the end. Abe Kosoff may not have been a saint �- who of us are �- but I would hope, and I think that you would too, that others will not write such things about us when there are no provable facts or named sources to support them and we are no longer around to defend ourselves. As I have told you many times before, the Big E is a great publication and all of numismatics is in your debt. I hope you will continue to publish controversial articles, leavened with a bit better judgment. I was appalled by John Kleeberg's comments on John Ford after his death yet I did not criticize you for publishing them. So, keep up the good work! Kleeberg's submissions on John Ford and Ted Nazftger were among the hardest items I've ever had to edit. I snipped quite a bit from the Ford piece, less from the one on Naftzger. Snipped were parts I felt were too harsh, or too hard to justify or document. What was left of both submissions was still lengthy, and could quite well be seen as slanted or unfair. I knew they would be controversial, but decided to hit the Send button. I appreciate George's careful review of the final Nazftger product, and feel that my edits were probably appropriate. As the use of the Internet and electronic visual media becomes more of a vital part of the coin industry, photographing coins, either raw or slabbed, has become an increasing concern with collectors and dealers. How do I get a good detailed image of this coin? What are the tools I need? Do I need to purchase any expensive equipment? What kind of lighting should I use? What techniques can I use to produce a good image of this coin? 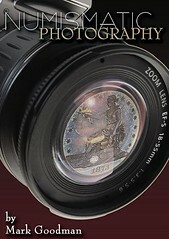 Releasing on July 15th, look for copies of Numismatic Photography in bookstores nationwide, your local coin shop, or Amazon.com. You can also order from Zyrus Press by mailing to PO Box 17810, Irvine, California 92623, calling (888) 622-7823, or online at www.zyruspress.com. Numismatic Photography Releases on July 15th! Introducing a brand new numismatic work, full of information never before published! 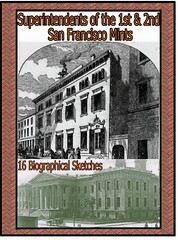 This book contains 16 intimate biographies of the memorable men who were in charge of the 1st and 2nd San Francisco Mints. Contained in this work are the likenesses of all but one of these gentlemen (a collection of which you will find nowhere else). The job of mint superintendent was an awesome responsibility, which you will discover as you read through the pages of this book. Also revealed are many of the ups and downs they faced during their tenure as superintendent. In addition, included in their biographies, are some interesting revelations concerning their personal and social lives. The legacies for many of these men have been lost to time, but after considerable digging, enough information has been unearthed to fill two full pages on each of them. You will find many of their stories quite fascinating, humorous, and sometimes tongue-in-cheek. Nancy Oliver and Richard Kelly are the writers and publishers of this work which is 41 pages (8 1/2 by 11), with some color, and is spiral bound for easy reading. The cover price is $20, but to E-Sylum subscribers we will defray the extra cost for shipping and handling so the total cost remains at $20. If you are interested, please email Nancy Oliver and/or Richard Kelly at noliver146@sbcglobal.net. 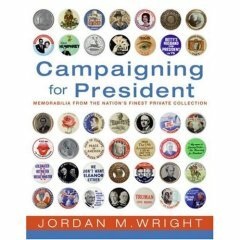 I just got a copy of a book that probably isn't well known to numismatists: Campaigning for President by Jordan M. Wright. Published by Smithsonian and Harper-Collins, it's beautifully done, showing political items, including medals and tokens, but loaded with other political campaign material in full color and coffee table size. It retails for $35.00 list but got thru Abebooks.com for $19 plus postage. Very worthwhile. Based on the author's extraordinary personal collection of presidential election memorabilia, Campaigning for President tells the colorful story of how presidents (and their losing rivals) have wooed voters since America was founded. These objects�from posters and paper dresses to ice-cream bars, sunglasses, and (of course) buttons�form a fascinating, moving, sometimes funny, sometimes outrageous physical record of the past. Campaigning for President makes it clear that money didn't become important just in recent elections and that candidates�and their minions�have sometimes been willing to gloss over the fine points or get very creative in their self-representation in attempts to win the presidency. Full of entertaining stories about the elections and the memorabilia, this book provides wonderful insight into America's most important achievement�our democratic system. Based on the author's immense and unique personal collection of over one million objects, our nation would be poorer without this special edition. Replete with fascinating tales and little remembered facts about presidential elections and the candidates who competed, Jordan's work provides insight into our nation's most important achievement-our democratic republic (pun intended!). Although the wait has been seven long years between the release of Volume One and this Volume Two, the wait appears to have been very worthwhile. I can�t remember just when I placed my original, pre-publication, order or what that pre-publication cost was (now $750.00 for the complete three volume set) but with the receipt of this volume I feel it was worth the price and the time. The Third, and final, volume is now anticipated to have a release date in Spring, 2009. Strictly speaking, this Volume is not about numismatic items, but it does contain information about many numismatic related items. What the Volume does contain is information concerning Medals, Badges, prize medals/awards, Pin badges, similar items, and some strictly Numismatic related items. The volume starts with the standard Disclaimers, acknowledgements, Contributors list, and a dedication of the three volume set to the memory of Jeffrey Hoare and Robert C. Wiley. Followed by a concise, but sufficient, Table of Contents. This in turn followed by an Introduction, Objectives, Structure of the volume, a detailed explanation of Societies, Associations, Leagues and Clubs, Fraternal Associations or Societies, Commercial Medals, and Stock Medals. Next two short discussions about collecting medals and the Numbering System followed by a description/discussion of the technical details of the medal listings; this is the format of how each and every medal is presented. The last part of the Preface is a two page Bibliography. The volume consists of three main �Sections� (or Chapters) listing medals under three Categories, according to the nature of the issuer, as follows: (1) Associations and Societies Medals; (2) Commercial (Business) Medals; and (3) Transportation (related to, but excluding transit such as bus, rail, toll, etc.) medals. The remainder of the volume consists of fifty three (53) pages of Indices to the main Categories, split between Index�s to the Categories and Numerical Index�s to the Categories. The volumes numbered pages, not including 12 pages of Preface, are 708. First a word about my personal likes and dislikes in books. I love the way in the Indices the publisher has placed the main categories at the top of the pages (e.g. �Index to Commercial Medals). I can only assume that cost, and I believe the publishers did incur tremendous costs, to publish this volume was the major factor that the Categories were not likewise listed at the top of each page. Suffice to say that the Table of Contents is very helpful in moving between categories. Enough said. The Author(s) inclusion of photographs by nearly every Medal, generally with obverse and reverse, is extremely helpful. Varieties are detailed, where known, and often are accompanied by photographs. The breakdown of the description follows a well thought out format: The name of the Issuer (including a line naming the specific locale it the issuer had locations at more than one location), the medals specific number (as provided by the Authors), the Obverse design / Legend / and Motto (if any). The Reverse design / legend, whether the issue was suspended (and if so How and by what), the Engraver/Maker (if known), and a reference number when the specific issue was previously catalogued. Lastly, the composition (metal), the weight, the size (mm) the thickness (mm) the Die axis, and to many the most important item - the value in the two commonly found grades. Varieties in different metals (bronze, brass, silver, etc) are described and priced. The section that will most intrigue Numismatists are the �Commercial� medals section. This section consists of seventy eight (78) pages (pages 563 to 639). It contains listings for medals representing events such as the �100th Anniversary� of �Bank of Montreal�, three sizes; the three types of medals for �Banque Canadienne Nationale�; �Canadian Collieries (Dunsmuir) Limited�; etc. The next most intriguing is the �Transportation� medals. This section consists of 16 Pages (pages 639 to 654). It contains listings for medals issued for Highways, Bridges, and Ships (wrecked or not). What I found less of interest, strictly from a numismatic point of view, was the First section on Association and Society medals. This section, consisting of the bulk of the book, with 563 pages (pages 1 through 563). This is not meant to take away from this section; I found it very informative, well done, and with the same degree of research that any great book contains. The sections are a listing of the medals with detailed descriptions, as per the �technical details� found in the Preface. A detailed discussion of each and every medal is wisely not given. On the other hand, the Preface provides an excellent discussion on the breakdown of the various components of Associations, Society�s, Commercial, and Transportation groups. This and the �Technical Detail� discussion provide sufficient information for collecting and studying the Medals covered by this Volume. Volume III - Canadian Scholastic Medals. Personally, I can hardly wait for volume three to be issued. For anyone interested in Canadian Medals this will definitely be the standard for years to come. The cost today may appear steep, but today�s price for a Used four volume set of the Haxby Obsolete Banknotes may be an indication of what the price will be in the future. A suggestion is that maybe the local coin club could purchase a set as a donation to the local public library or to a high school. Looking at the new books listed in the last E-Sylum, it strikes me that I have a new book too � or rather, the second, updated and greatly improved edition of something I did in 1996: America�s Money � America�s Story. I�m not certain when it�ll appear in book stores, but Whitman has done it, and they have done a magnificent job � full color, many new illustrations, the works. It�ll show up sometime in Midsummer. ANS Head Librarian Francis D. Campbell, who recently turned 65, and has decided to retire effective March 31, after an outstanding career at the Society spanning fifty years, fully one third of the Society's existence. Over that period, Frank has made many valuable contributions to the ANS, and leaves as his legacy the foremost numismatic library in the world. In 1958, when Frank was in his junior year at Bishop DuBois High School in Washington Heights (Manhattan), two of his neighborhood friends told him about part-time jobs they had gotten working in the Photography Department at the ANS, and encouraged Frank to apply for an available job as well. As fate would have it, Frank was given the job of Library Assistant, and thus began his lifelong involvement with numismatic books. When Frank took over as Head Librarian in 1975, the ANS already had a formidable numismatic library, and a clear commitment to continued growth. However, the Subject Heading List used for cataloging was in need of a major overhaul. Moreover, the entire record-keeping system was paper-based, employing a 3x5 card catalogue of the library's holdings as the primary means of searching for specific books or articles (as did most other libraries at the time). Short of visiting the Society and consulting the card catalogue itself, the only way the public could access the ANS Library holdings was through the massive Dictionary Catalogue, which was basically a printed photocopy of the card catalogue. Frank, of course, had extensive direct experience in cataloging numismatic works at the ANS, and had also written reviews for ANS Numismatic Literature, and The Library Journal. As early as 1970, he had prepared a report outlining the needs and future direction of the library. Over the years, the ANS had developed an excellent Subject Heading List that was tailored to a numismatic library. And the ANS, unlike most libraries, cataloged not only books, but individual journal articles by author, title, and subject, providing a powerful search tool for scholars. During Frank's tenure as Head Librarian, he has also been instrumental in bringing many important acquisitions to the Library, both through donation and purchase. These include the David Bullowa library; the many manuscripts relating to early American coinage given by Joe Lasser; the Newcomb, Clapp and Hines correspondence; the Brand inventory and papers; the Garrett archives; the Norweb collection inventory; the New Netherlands archives; the Mickley diary; the Zerbe correspondence; the many early numismatic books donated by Jonathan Kagan; the Kunz letters; and the Chapman bid books and correspondence. Wizard Coin Supply is the official supply dealer for the American Numismatic Association's World Fair of Money taking place in Baltimore from July 30th to August 3rd. Wizard plans a number of events during these five days to engage show attendees in the books and supplies side of numismatics. One such event is the Autograph Festival. Three separate programs will make up the Autograph Festival with the goal of connecting as many authors to as many readers for book autographs as possible. Wizard is sponsoring the Festival at no cost to authors or readers and the books need not be bought from Wizard to participate. Program 1-Autograph Sessions at the Wizard booth. Wizard will organize and promote autograph sessions at our booth for authors willing to join us for a session (or two) during the course of the show. Authors can reserve their preferred half hour or hour time slot(s) with Wizard. Wizard will include the session in our promotional materials and dedicate space at the booth for authors to meet the public, sign autographs and chat with fellow numismatists. Program 2-Autographs at Author's Booths. We recognize that many authors will be otherwise involved at the show and may prefer to autograph books at their own booths (either instead of or in addition to a session at the Wizard booth). For authors that advise us of their availability and willingness to participate in this manner, Wizard will include the author's name and booth number in Autograph Festival publicity. Program 3-Drop Off Program. Wizard will also accept drop-off books for autographing by the author and then return them to their owners later in the show or via mail after the show. This program is ideal both for authors who would like to participate but prefer not to or unable to have an autograph session and also for authors who participate in Program 1 and want to have an option available for customers who are unable to be present for the session (due to auction or seminar attendance, not present at the show that day, etc.). The three programs are not mutually exclusive. Authors are welcome to participate in any one, two or all three programs. Wizard will also offer a program to our mail order customers wherein books can be ordered before the show, autographed at the show through one of the programs described above and then shipped to the customer after the show. 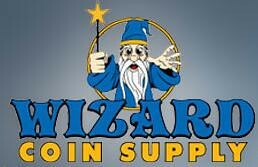 Authors interested in participating in the Autograph Festival should contact Wizard Coin Supply at 703-738-4485 or info@WizardCoinSupply.com. PeopleVisionFX has produced a SpokesMannequin clone of Benjamin Franklin for the recently completed Newman Money Museum. The SpokesMannequin is seated on a raised platform near the entrance to the museum. The figure is activated by a motion sensor and welcomes visitors to the museum, presenting a brief history of money in colonial America. Several years ago, we had an air conditioning leakage problem at the American Numismatic Society resulting in some water damage occurring with respect to a few of our books. Fortunately we did not jump to some form of obvious answer like pull out a hair dryer, but instead contacted a book restoration expert. In sum, the best treatment for water damaged books is to freeze them and then dry them in a controlled environment. The books were restored literally as good as new. But the part that I found so amazing is that after I became aware of the problem and solution, I had the occasion to be talking to Eric Newman and I mentioned the water damage and the first words out of his mouth were..."did you freeze the books?" After all these years, he never ceases to amaze me. Please convey my thanks to those who contributed ideas on how to safely remove price sticker residue from a book. Not having most of the suggested solvents, and being somewhat hesitant because the book did not have a more impervious glossy dust jacket or cover, I ended up using an art eraser per Anne Bentley's suggestion. After ten or fifteen minutes using the technique she described the remaining glue on the cover was gone, with no apparent discoloration or damage to the underlying surface (whether I've minimized the historical value I cannot say, but confess that I also remove price tags and stickers from clothing I buy, so future archeologists might at the least judge me consistent). I found this to be one of the most useful discussions in recent issues. As a collector of coin albums, folders, etc., I'm frequently frustrated by the non-contemporary price stickers applied by thoughtless dealers selling used or remaindered vintage items. I will certainly put to the test some of the methods described. Along a similar line, a recent eBay acquisition was a scarce Dansco folder for Canadian small cents that I purchased from a seller in England. It arrived with the package open and the folder firmly stuck to the self-adhesive flap. Evidently, the customs agent had opened the package for inspection and had not resealed it properly. A tentative attempt on my part to separate the folder from the flap quickly established that this could not be done without ripping the cover paper. In desperation I took it to my friend and fellow employee Skip Fazzari, who works in the lab at Numismatic Conservation Services, conveniently located around the corner from my own office at Numismatic Guaranty Corp. I got it back three days later without a trace of the offending flap or any sign of damage to the folder. What method he used to save the day remains a trade secret but, needless to say, I was quite pleased. Regarding the discussion on removing stickers from books, I was greatly surprised that no one mentioned Goo-Gone. I have been involved with books since before I could read. I earlier years I too was very frustrated with stickers on dust jackets, comic covers and other fragile paper wraps whose value often lay in the colorful graphics. I used many methods over the years, but sometime within the last 10 years or so I discovered Goo-Gone. It's a citrus based product which dissolves glues, waxes and such. All I do is squirt some Goo-Gone on and around the sticker and let it soak in for a while. The glue dissolves and the sticker can be removed, along with the glue residue. The dust jacket will looked stained at first, but Goo-Gone evaporates and leaves no stain after an hour or so. If the sticker is older, or tougher to remove, after soaking in Goo-Gone, I use a sharp pocket knife to lift the edges of the sticker so that the liquid can get below, this is sometimes necessary if the sticker has a foil top surface also. Usually I will place a paper towel under whatever I squirt Goo-Gone onto to minimize it's spread. This reduces the drying time back to natural color. One caution when using Goo-Gone; do not try to rub it into any color printed surface. This will damage or even remove the gloss and eventually the color print itself. Let Goo-Gone do it's work naturally. Here is a link to the Goo-Gone website, http://www.googone.com/googone.aspx where they offer a variety of products. Plain old Goo-Gone is available in most hardware or departments stores, usually near the cleaning supplies. A small bottle will last through years of sticker removal. For the most part I prefer removing modern stickers applied at garage sales, antique stores and booksellers. However, I agree with Jorgen as far as older, or original sales stickers are concerned. If they are part of the context of the issue of the book, or they establish a pedigree or build an interesting history for the life of the book, then it is favorable to leave them intact. I feel this is also true of bookseller labels, library labels and name plates, which are normally applied to the inside front or back covers. 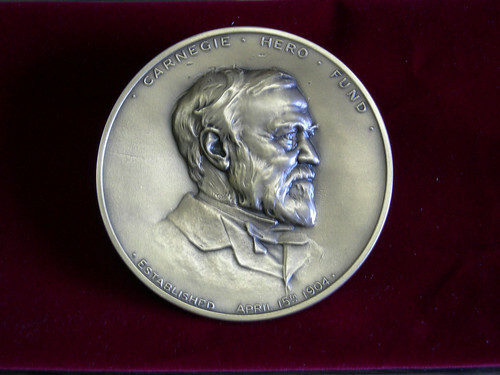 A few issues back Douglas Chambers of the Carnegie Hero Fund Commission took the advice of our readers to remove a Carnegie Hero Medal from a fire-damaged block of Lucite. The operation is complete. He writes: "Attached are before and after photos of the medal. 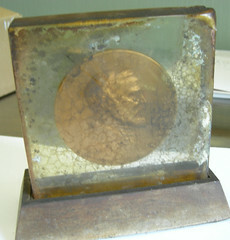 After I removed the last bits of Lucite we sent it to Hugo Greco for a final cleaning and protecting." Donald W. Frederick saved Lloydina L Bailey from being struck by a runaway truck, Nederland, Texas, October 29, 1966. Lloydina, 17, was on the walk leading from a community center when a pickup truck which had gone out of control proceeded diagonally across the lawn toward the walk at about 40 m.p.h. Donald, 14, schoolboy, who was beside and slightly behind Lloydina, saw the truck strike an automobile parked on the lawn and then continue toward the walk. He shouted a warning to Lloydina. She stopped in the path of the truck, frozen in fear as it proceeded at undiminished speed to within 15 feet of her. Donald delayed jumping backward in order to push Lloydina forward, thrusting her from the truck's path. He then tried to move backward but was struck on the head by a mirror on the side of the truck and knocked unconscious. The truck passed over the walk and stopped beyond it after striking another automobile. Donald, who had suffered a skull fracture, was unconscious for about a week and was hospitalized a week longer. I've been following the discussion on removing coins and medals from Lucite and thought I'd share this image of a paperweight bought on eBay from a seller in Texas who had purchased it from an estate sale. 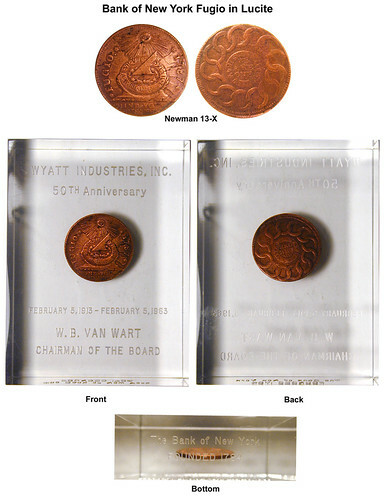 I have no desire whatsoever to remove this particular coin from the block of Lucite, however, as that would also destroy its pedigree: Jarvis/Flint/Van Wart/Weston. I'm usually not big on pedigrees but I think I can live with this one. As an interesting side note to this entombed Bank of NY Hoard Fugio cent, the seller's wife had considered cutting it out of the Lucite block and making a pendant out of it because she liked the design. I'm glad her husband talked her out of it. Many, but not all, Swiss Shooting Taler types are illustrated in UWC. In the Swiss section you will also find other local Swiss medallic issues and types of limited circulation. I like the Huguenin Freres Talers, which are readily available in the market and feature views of various cities. We hope to continue adding to these listings, as each new year's issues are released and are doing this with the assistance of Craig Keplinger. Craig is a dealer in Swiss coins, with a specialization in the Shooting Festival coins. 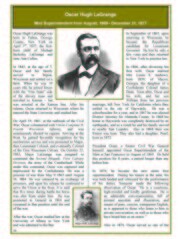 Collectors of this series will also want to keep an eye on NumisMaster at http://www.numismaster.com/ta/numis.jsp as the new issues Craig supplies the data for will first be listed there on the website before they appear in a printed work such as UWC. Craig is also working to get all types illustrated on NumisMaster well before we produce a 6th edition of UWC. Depending on page count and size limits, we also would like to add the Swiss Shooting Talers back into the regular Standard Catalog series at some point in the future. For the moment however, NumisMaster provides a ready and accessible outlet for collector to keep up to date. I'll post this information on my blog - Big Ideas, little world - also, with some additional information. I received two inquiries on American medals this week, one from Canada and one from Australia. A writer in Canada had been commissioned to write a biography of a person named Fields. 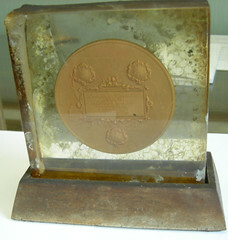 In her research she had discovered a medal made by Medallic Art Company. Her inquiry on this medal eventually reached me since I had cataloged all the medals made by this firm. She furnished the time frame, 1932 or 1933, and the name Fields. She also knew it was by the Canadian-American sculptor R. Tait McKenzie. I searched my records but came up blank. Nothing by that name, for that period, or under artist McKenzie. A second email mentioned a mathematics congress. Bingo! I located a reference to an International Congress of Mathematicians Medal, 1933. I had assigned the medal a catalog number, 33-37, but had not prepared a catalog card for this medal. This usually meant I did not have a specimen in the company archives to photograph or to finish cataloging. Occasionally when this occurred a search would be made for dies, and a sample medal would have been struck for archive purposes. No such specimen. In my list of medals (called "shelf list" a term I learned from libraries) I would type in the name and number but would pencil in "nc" obviously for "not cataloged." For that year 1933 -- a year of low production in a depression time -- only 63 medals were made. Ten bore the "nc" notation. 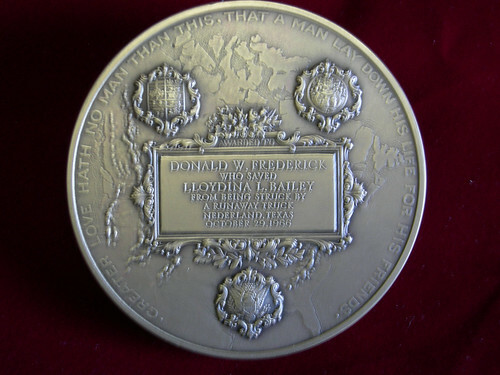 Fields was either the first recipient or the client who ordered the medal. I had first thought his portrait might appear on the medal. Wrong! My correspondent later told me it bore a portrait of Archimedes. It proved to me I should ask the right questions in the beginning. It might save a lot of time. "BERWIND WHITE COAL MINING COMPANY 50TH ANNIVERSARY MEDAL, 1936. Marqusee 375; Museler 72/20. 81.3mm. Bronze. (Tiffany & Co.). Choice Unc. Obv: A kneeling miner holds a chunk of ore and a pickax. 50th anniversary legend. Rx: A steamship, and a train with a factory behind, both in square panels. EUREKA inscribed on a banner above, and 1886-1936 on a banner below. Signed at bottom: TIFFANY & CO. Edge marked BRONZE and an Old English �m� (for Edward C. Moore, superintendent of manufacturing and a company director. E. J. Berwind, the founder of this company is renowned as the original owner of The Elms, one of the famous Newport, R.I. 'cottages.' The Berwind Corporation is still in business today." The American Numismatic Society, the foremost center for numismatic research in the US, invites applications for the position of Curator of Islamic Coins. The Society seeks to recruit an energetic and creative curator to oversee and build its world-class collection of the coinage of the Islamic world, as well as other parts of the collection. The successful candidate is expected to work on the ANS�s exhibition program, contribute to ANS publications, and carry out research in his or her own chosen field. All ANS curators are expected to participate actively in the Society's development, outreach and public relations initiatives. Curators also provide instruction in numismatics at the ANS Graduate Seminar and elsewhere. The Curator should hold or be about to finish a Ph.D. in numismatics or have equivalent qualifications in a related field, such as history, art history, or archaeology. The Curator should also be proficient in Arabic and at least two other modern languages. 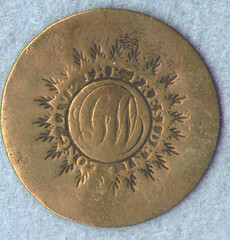 A proven ability or the potential to curate South or East Asian or Medieval European coinage is also highly desirable. Four major Washington institutions are jointly pursuing an extensive collection of materials related to Abraham Lincoln and his times with hopes of bringing it to the capital. The Library of Congress, the National Museum of American History, Ford's Theatre and President Lincoln's Cottage have formed a partnership to obtain the collection of the privately owned Lincoln Museum in Fort Wayne, Ind. The museum is closing next week after 77 years of operation. Washington "is a natural place" for the museum's collection, said John Sellers, a Lincoln specialist at the Library of Congress. "It is where Lincoln became famous and made his mark. It is a natural place because the assassination happened here. It is a natural place because of the wealth of material related to Lincoln and the assassination." "There really isn't any group that can match the visitorship and financial stability of the Washington group," Sellers said. The foundation board plans to narrow the proposals in the fall, invite the finalists to meet with the curators in Fort Wayne, and then make site visits to the competing groups. Moser declined to talk about the applicants. "They ranged from the small, not-for-profit institutions who are interested in one or two items to the nationally known institutions," she said. The museum's collection includes a signed copy of the Emancipation Proclamation and a signed copy of the 13th Amendment, which abolished slavery in the United States. The museum has a mock office, with an original desk, reading glasses and inkwell. The furniture includes a Gardner Gallery chair, seen in some of the familiar photographs of the president. The museum also owns Lincoln's leather portfolio wallet, a bronze life mask, campaign medals, his shawl and a lock of his hair. The artifacts include 350 documents signed by Lincoln, as well as thousands of 19th-century prints and photographs, and 18,000 rare books and pamphlets. The collection's value has been estimated at $20 million. It must have been something about the era some fifty years ago, but I collect George Washington Inaugural buttons. These are truly historic pieces that are believed to be of American Manufacture (presumably by silversmiths and coin engravers of the time) that were made for the officers on George Washington's staff to wear as something between cuff-links and buttons on their dress uniforms to honor Washington at the time of his first inauguration. They were also symbolic of American resolve to move the button making industry (then a big one) from Birmingham, England to the United States. In any event, they are frequently found with the reverse shanks bent sideways or snapped off to fit in coin envelopes. Sometimes, the slightly concave button is even pressed flat. The difference between an original button with an upright shank and a bent or otherwise damaged one can represent well over a thousand dollars in value. What were they thinking? 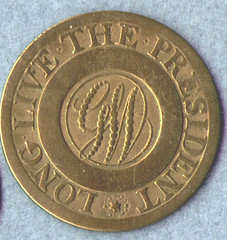 Interesting topic, and Alan's submission led to my discovery of an interesting web site on Washington Inaugural Buttons, which is where the above image lives. See this week's FEATURED WEB SITE for more information. A London cabbie refused to accept my Scottish banknote, holding up a hand-written piece of card as his authority stating he only took "English" money. I had to pay by credit card, having no English money, and that cost an additional �4.30 for the pleasure of being insulted. I made a complaint to the relevant taxi licensing authority which has defended the driver's position. While I understand the "correctness" of the position, it beggars belief that in the year 2008 we Scots are still encountering such attitudes in London. We all probably experienced this 30 to 40 years ago but I believed it had long since disappeared, and especially in the capital city, with its millions of visitors and many places accepting payment in euros. To read the complete article, see: Charged money for the pleasure of being insulted (http://www.theherald.co.uk/features/letters/display.var.2361996.0. A German firm that grew rich under the Nazis is underwriting the terror in Zimbabwe by printing the banknotes Robert Mugabe needs to pay for his machinery of repression. The German firm Giesecke & Devrient, whose motto is "Virtue Through Work", agreed to do what numerous other banknote companies have refused - to print Zimbabwe's currency. Gorden Moyo, of the opposition group Bulawayo Agenda, said: "It is the most important weapon in the terror arsenal of Robert Mugabe. Hundreds of thousands of new notes arrive weekly in Zimbabwe and pay the security forces which put down dissent." The company, which has a turnover of a billion pounds a year, is discreet about its clients, wanting neither to confirm or deny its contract. During the Nazi regime its directors had close links with the party, which landed it profitable contracts printing share certificates for such heavyweight firms as Daimler and Junkers, the latter of which used its wartime share issues to build planes to bomb Britain. In 1941, Heinrich Himmler visited the directors and asked them to print counterfeit money with which to flood Britain. The company turned to Hermann Goering, air force chief and a sworn enemy of Himmler, for help; he intervened and Himmler enlisted the services of concentration camp prisoners to make the fake notes instead. An alternative news web site published an article this week saying that a class action suit has been filed against the Federal government over the Liberty Dollar seizure. Here are some excerpts. -Editor. The federal government's attempt to stop a group of gold-standard activists from minting an alternative to the greenback is about to face its first legal test. A dozen people around the country filed suit in U.S. District Court in Idaho this week demanding the return of all the copper, silver, gold, and platinum coins � more than seven tons of metal in all � that the FBI and Secret Service seized in November during raids of a mint in Idaho and a strip mall storefront in Indiana. This coin owned by Dr. Manuel Harris of Jamestown was purchased in Orlando, Fla. The coin was once owned by Anton Klaus, considered to be the father of Jamestown. It will be on display at Wells Fargo Bank beginning Wednesday and remain on display through the 125th Anniversary Celebration. Your reference to the web site on coin spoons reminds me of a cigarette extinguisher I once saw. It was made during World War II in the German-occupied Netherlands of three coins soldered together�at the bottom a square copper-nickel five-cents piece, standing thereon a round bronze cent, and at the top one half of a bronze half-cent, which had been cut in half, to fetch the object. These coins had been demonetized by the German high commissioner Arthur Seyss-Inquart and replaced by zinc coins, to obtain strategic materials like copper-nickel and bronze for the German war effort. The extinguisher was fashioned as a protest against this measure and to ridicule the hated Seyss-Inquart: the coins with a total nominal value of six-and-a-quart cents impersonated the high commissioner's nickname Six-and-a-quart. Gurkha veterans marched to Downing Street yesterday to demonstrate against the sickening treatment of thousands of the retired soldiers. Thirteen warriors, led by Victoria Cross hero Tul Bahadur Pun, handed back their war medals, claiming they were no longer proud to wear them. Many held up pictures of the Victoria Cross with the slogan Retired Gurkhas � Let Us Live Here. The 22,000 Gurkhas who retired before 1997 are still denied British citizenship � meaning they cannot work, use the NHS or claim benefits. Many struggle to survive on a pension of �100-�135 a month � about a quarter of what a British soldier gets � and are forced to rely on friends to feed and house them. Did you catch this? I suspect it could have a profound influence on attendance at shows and auctions Down Under. It may promote far more live on-line bidding as well as other aspects of web-based numismatic participation. However, its ramifications could run far deeper than that. At the very least some folk may come to appreciate what it is to live-out one's hobby in sublime physical isolation! How are soaring energy prices going to affect the coin market? I got my first taste of the New Reality today when I decided not to attend a coin show because of what I thought was an exceptionally high price for an airline ticket. The other day I received an email from Whitman Expos regarding their August Atlanta show. I believe that this show is in its third year and I have attended the previous conventions. Even though it is a brutal flight for me to get to Atlanta from the Northwest, I�ve always looked forward to the show. I love Atlanta, I like the Whitman people and want to support their shows and I have some good clients in the Atlanta metropolitan area. So even though this had never been a �major� event on the coin circuit, I was still happy to attend it. That is, until I went on my airlines� website yesterday and looked up the price of a round trip ticket to Atlanta. Even booking the ticket more than two months in advance, the best fare I could find was close to $800 and that was with a lovely three hour layover on the way home in Dallas. To get a convenient round trip ticket was nearly $1,000. I wonder how many other dealers are feeling the same way about non-essential shows. No matter how expensive airfare gets, I�m still going to attend the ANA and FUN shows and I will continue to attend West Coast shows because of the convenience factor. But instead of going to three Baltimore shows per year, I�ll probably cut back to two to reduce expenses. I fly a lot but that's going to stop. One must justify trips by the cost of the travel and it goes against my grain to pay $500-600 for a fare that last year I paid $350 for. Car rental has also gone up and that I cannot understand. What I could rent for the same trip and period last year for under $100 now costs over $150. I foresaw this increase (although not to this level) a few months ago and booked all my flights thru Labor Day weekend. Since then I've searched for a reasonable January 2009 FUN show airfare without success. $435-500+ and up for a fare that was less than $300 last January, Los Angeles to Orlando. Watch - attendance at shows will dramatically drop due to the cost of air fares and vehicle fuel. The only thing that will prop up hobby prices will be the auctions, which are curiously still doing very well despite high unemployment, high fuel costs and natural disasters that are wiping out whole areas economically. I'd like to predict that the numismatic market will drop 35% or more - but I'm not sure that'll occur. A few weeks ago at the Long Beach show I overheard a telling comment in a conversation between two dealers - "You know, I can sell a coin for $100,000 more easily now than I can sell a coin for two or three thousand dollars." The national news tonight said a lot of money is seeking new reliable outlets for investment and I thought of coins/currency where there's pride of ownership. I seem to recall reading that numismatic price levels did not drop all that much during the Great Depression as the stock market bombed. But then prices were much lower and the number of collectors/dealers was infinitely smaller. Friday, concerned with the LA Times forecasting $7 gas and $200 oil by the end of the year, I booked a roundtrip flight to January 2009's Orlando FUN show. Normally, I would never book such a flight so far in advance during summer's high air fares. But, after considerable checking, I booked an AirTran "redeye" flight for $405 LAX-MCO. Other airlines were quoting $500 and up. This same flight was just over $225 for the last January FUN. I feel sadly confident that this was a prudent move. This week's featured web site is J. Harold Cobb's George Washington Inaugural Button Collection, created by Kirk Mitchell. Harold was the first major collector of GW's starting in the early 1950's. Over the years, he kept notes and research material on the types and numbers of buttons available, and with the encouragement from fellow collectors, put the results in his book. This book is itself a collector's item with only two printings, one in 1963, and a revised version in 1968 (revised with permission by Elmer Piercy). I have further revised it and put it in .pdf format and with the family's permission make it available for downloading. Get the book "George Washington Inaugural Buttons and Medalets, 1789-1793" (revised January 27th, 2005.